Wells Cathedral has one of the very few chained libraries remaining in Britain. 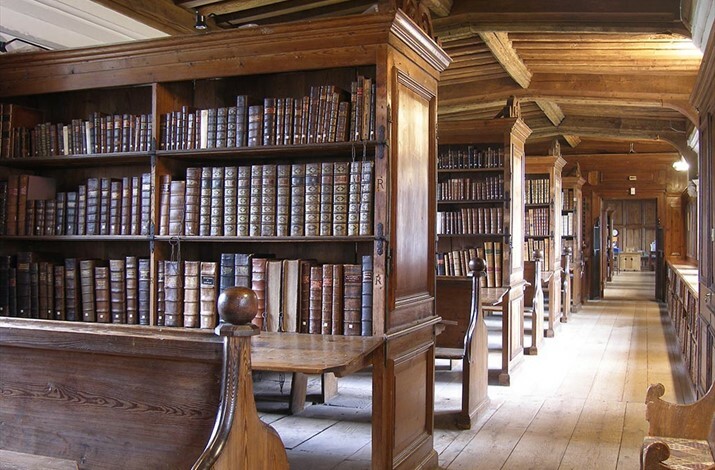 Come and see chained books and hear the history of the unique library which dates from 1450. This is a taster tour of around 25 minutes as part of an Open Door event in Wells and offering an insight in small groups of 8. Unfortunately the tour is not suitable for wheelchairs.